60 years ago, the company took the direction of installing land drainage and gained a wealth of experience and knowledge during those years. We are now in a position where we can offer a full service from preliminary site investigation and design to installation via GPS and laser controlled trenchers, through to as built drawings of the completed job. Land drainage is principally used to alleviate waterlogging in fields and gardens. Other uses for land drainage are as dispersal drains for septic systems and as collector drains where more formal drainage fittings would be inappropriate. 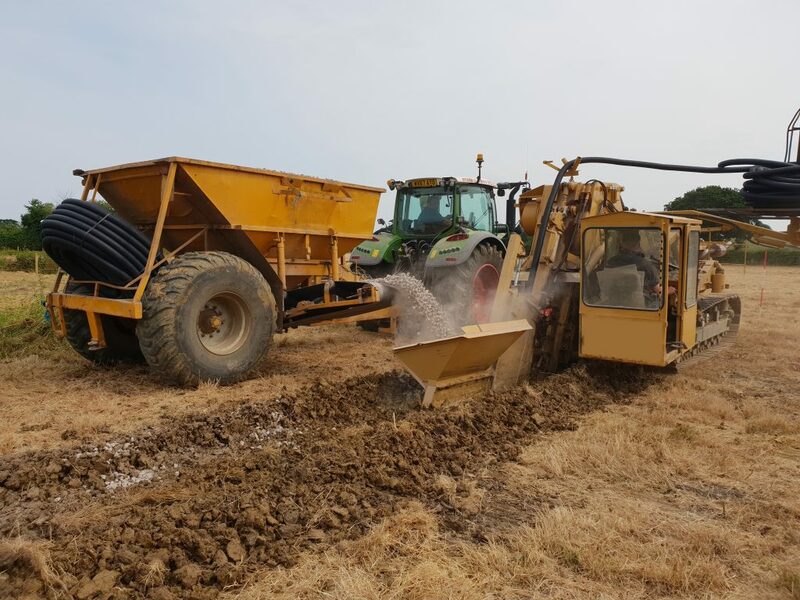 It is also an essential part of civil engineering projects, where the use of drains and drainage composites is gradually replacing the more traditional forms of land drainage. A large part of land drainage is problem solving and rectifying old drainage systems.